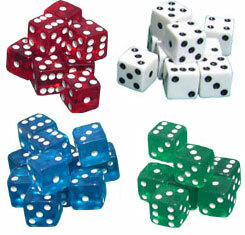 You can choose from a range of opaque and transparent Dice colors, including White, Red, Blue, and Green. All prices per piece, not per pair. No below minimum orders.